Just Like Me dolls by Gotz are perfect for children just starting to play with little friend dolls. Giuseppina would make a perfect friend to a child who wants a little friend to take out with her. She would also make a great little sister to the taller Gotz dolls. She has closing eyes, with long eyelashes and very long straight brown hair. Her body is vinyl and she can turn her head from side to side. There are clothes and shoes to fit 10.5"/27cm Gotz dolls. There's also a very special section of the website that you might like to look at called Style Me! 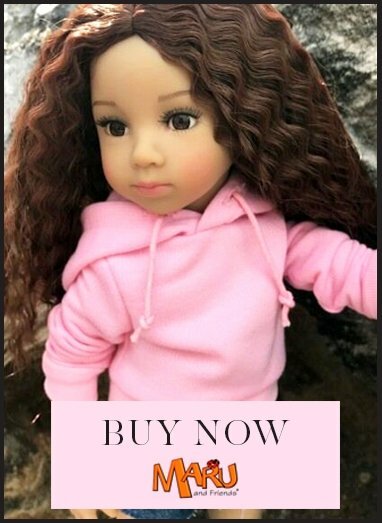 Here you can create the doll of your choice, for example if you love this doll's hair and eyes but would prefer her to come in a different outfit you can select this in Style Me! Gotz dolls are safety tested for children from age 3 and they represent excellent value.